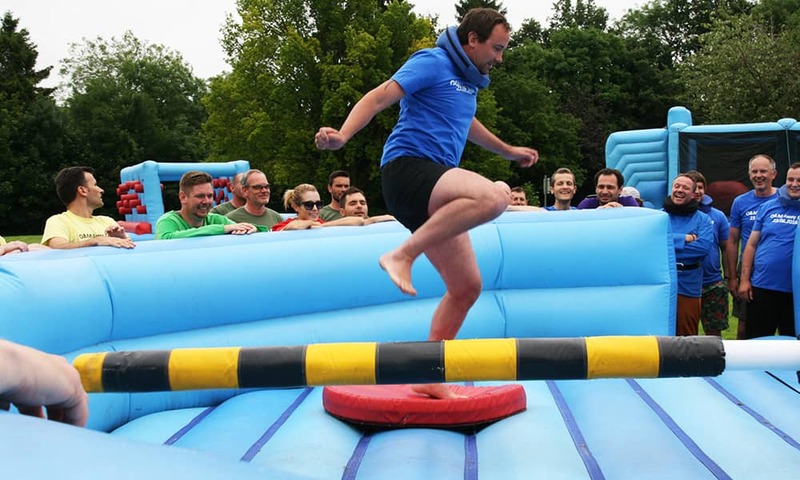 highlights of the wipeout activity? What is totally wiped out? 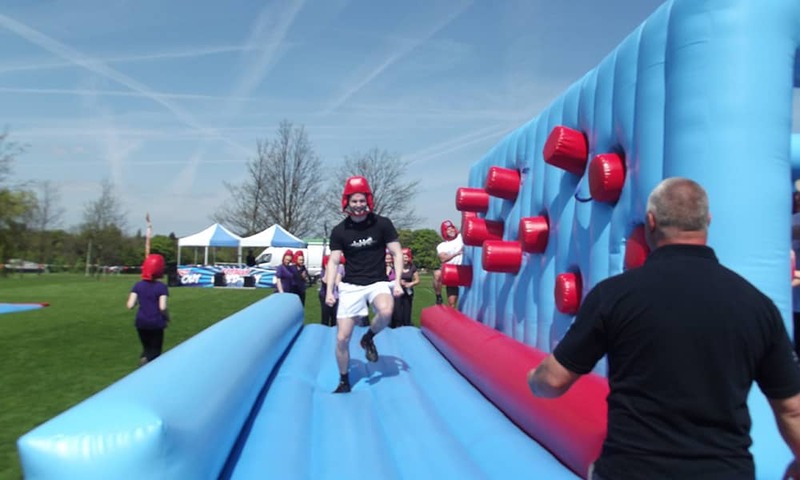 We've combined all of our favourite competition TV shows, such as It's a Knockout, Total Wipeout and Gladiator, to create the ultimate event! 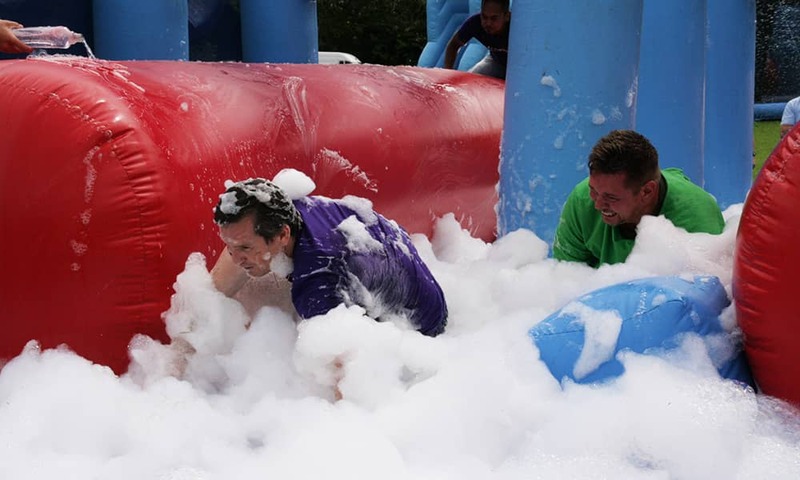 This brilliant combo of inflatable challenges, soapy tasks and strength trials will determine which team wins 1st place! 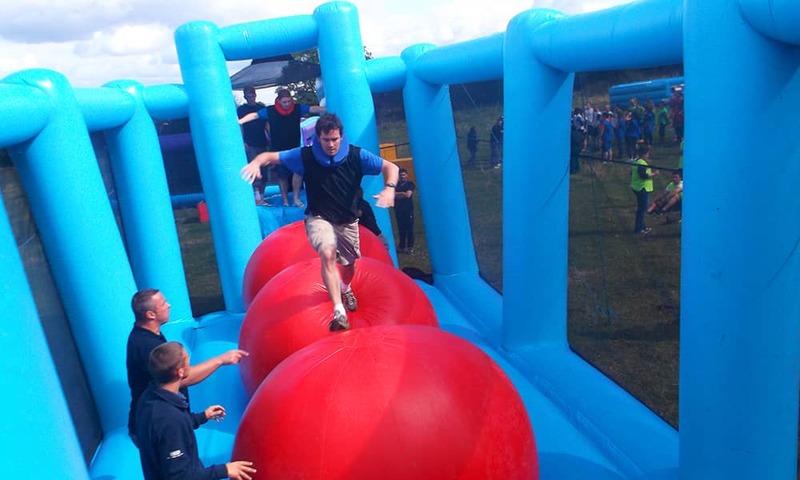 Scramble along giant inflatable trunks while the foam river beneath you tries to knock you off! Claw your way along the rotating log and duck under the arches above you! The team who completes the stretch the most wins! Do we really need to explain this one? 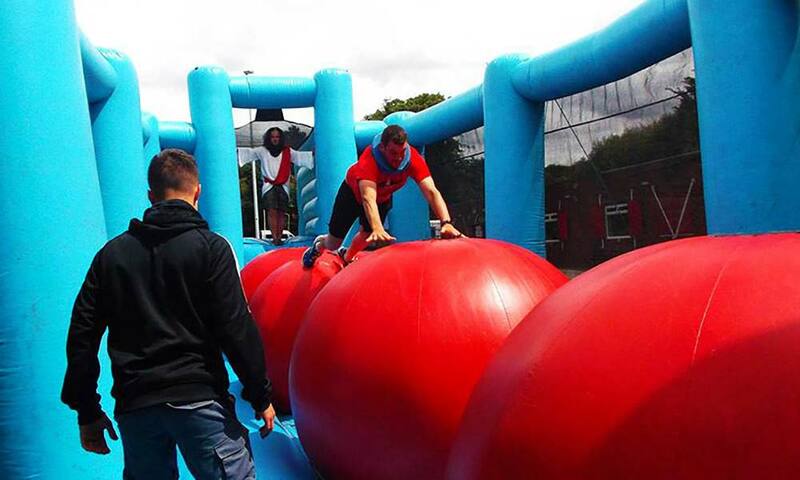 Take your chance to bounce across our big red balls in a sprint against the other team! If you fall you have to get right back up and go again! Our balls are contained in an enclosed net so you won't have to worry about falling anywhere you shouldn't. 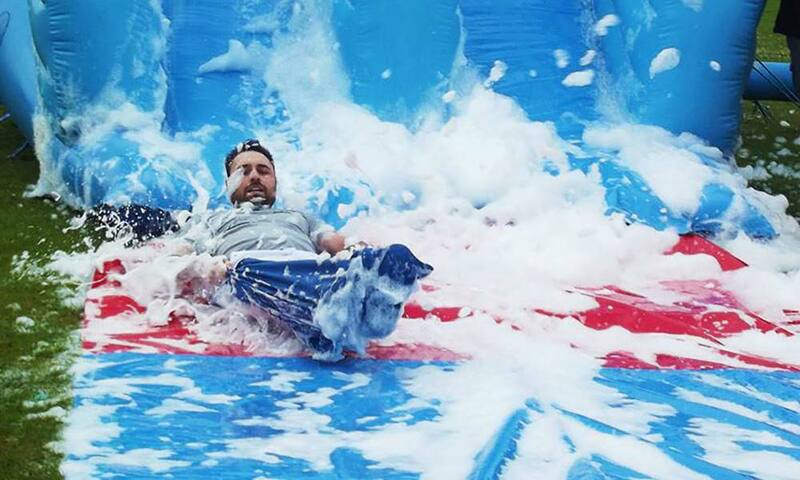 Contestants hurl themselves down a slippery, foam slide and onto the drift mat. The further you go, the more points you'll earn! Extra points are often gifted due to style. 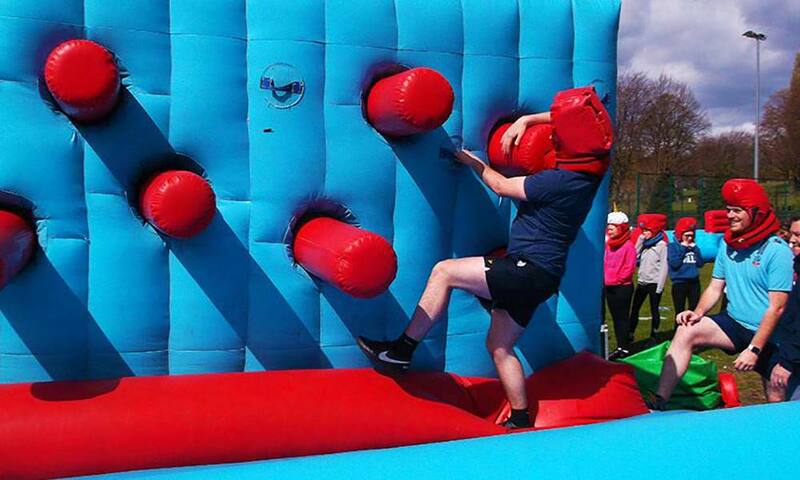 This fiendishly tricky inflatable maze is full of blow up obstacles and ground blocks to keep you on your toes! The idea is simple - beat your opponent to the finish line and win! Squeeze through the inflatable forest, and squirrel your way through the tiny finish hole! Stick your headgear back on and get prepared to take a couple of hits! Contestants have to weave their way across our punch wall while the opposite team are on the other side of the wall dealing the punches. Cling to the straps and dodge the rods to win! The fastest team across wins! The sweeper arm is one of the most action-packed challenges of the Wipeout course. Two members from each side stand on platforms and have to jump the swinging arm. Make sure you jump at the right time and balance yourself before the next swing! It may sound easy but you'd be surprised how easy it is to stick a foot out of line with all of the laughter!